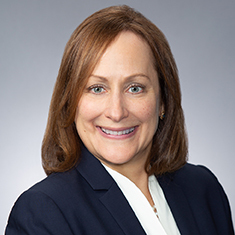 Lisa Atlas Genecov is the national co-chair of the firm's Health Care practice, concentrating on the regulatory, business, corporate, governance, compliance, mergers and acquisitions, and transactional aspects of health care law, with a particular focus in the private equity space. With over 30 years of experience, she advises clients on transaction structures, implementation matters, compliance obligations and strategic opportunities under the Affordable Care Act and related health care laws and regulations. She also regularly advises the boards of health care entities on governance issues. Lisa counsels various hospitals and health systems, medical groups and other health care providers in both regulatory matters, as well as business transactions, including acquisitions and divestitures of hospitals, ancillary service lines and medical practices; telemedicine initiatives and strategies; co-management and service line management arrangements; the development and formation of accountable care organizations, clinically integrated networks and physician/hospital/payor alignment strategies; physician and hospital contracting, physician employment and recruitment issues; physician practice management and management services agreements; and corporate practice of medicine and fee splitting issues. She also advises on fraud and abuse and Stark Law compliance, tax-exempt and antitrust issues, and licensure and change of ownership matters. Shown below is a selection of Lisa’s engagements. Lead transaction counsel for a large health care network of nonprofit hospitals in its acquisition of one of the largest US alliances of nonprofit academic medical centers, creating the largest member-owned health care company in the United States. Representation of a large, regional nonprofit health system in a joint venture with a national health care payor regarding health plans and insured and self-insured products combining integrated care teams, health insurance benefits and administrative services to promote efficiencies and lower costs of care. Representation of a large, national for-profit health system with change of ownership, notifications and related filings and other health care regulatory matters in its $4.4 billion acquisition of another large health system. Representation of a national hospice care operator in the acquisition of various hospice agencies around the United States; also served as lead transaction counsel in the sale of the hospice care operator to a larger hospice care company. Representation of a large, regional nonprofit health system on setting up its virtual care program, including addressing regulatory issues, preparing and negotiating contracts, and structuring various affiliations for the provision of telemedicine and digital health services. Representation of a large national health care system with respect to physician telemedicine initiatives, including addressing Anti-Kickback Statute, Stark Law and other regulatory issues; privacy and security issues; Medicare and state law reimbursement issues; and multiple vendor contract issues. Representation of a digital health/mobile app company in connection with health care regulatory matters, including HIPAA privacy and security issues. Representation of a national physician practice management company in a joint venture transaction with a Texas nonprofit health system in connection with the development of urgent care centers. Representation of a large, for-profit health system on health care regulatory matters in its joint venture with a large, national ambulatory surgical services company. Representation of a private equity group in connection with the acquisition of a large anesthesia practice management company and its affiliated anesthesia medical practice. Representation of a Texas nonprofit regional health system in its acquisition of a large cardiology practice. Representation of a revenue cycle solutions subsidiary of a large for-profit health system in a joint venture with a large Catholic health system regarding revenue cycle services. Representation of a national health care staffing company in its acquisitions of other staffing companies and a technology company providing scheduling and other management solutions. Representation of an urgent care, occupational medicine and health care work site company in numerous acquisitions of primary care physician practices across the United States. Representation of a proton cancer treatment center developer in health care regulatory, corporate and transactional matters for the development and operation of proton treatment centers with academic medical centers in Texas, Maryland and Georgia; and with a large health system and its affiliated medical practice in California.